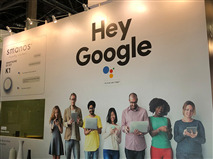 Products on display include the latest GSM and WiFi control panels, as well as cloud-based HD cameras and many uniquely designed wireless accessories and OEM options. 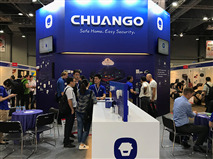 “The Chuango H4i and D11 home automation and alarm systems boast super simple WiFi and cellular setup for secure, failsafe smartphone access,” said Brian Borghardt, GM of Chuango Europe. “Scaling up either of the systems simply requires a few swipes and taps on the respective free app, to add up to 50 wireless sensors and cameras, without calling in an expensive installer.” Users get to enjoy the comfort and convenience of a smart and safe home within minutes upon opening the box. The H4i and D11 are your ultimate gateways to a smart and secure home. With a regular-sized SIM card with credit or Wi-Fi connection, either of the systems can be controlled via smartphone app commands. When triggered, the system in action will push app notifications (or text notifications when the WiFi is down) and call out to pre-authorized numbers for appropriate action. Aside from regular Chuango security capability and functionality, the H4i and D11 also control and save power for your home appliances that are plugged into smart switches; the D11 is also Z-Wave compatible and works with other smart home devices, such as the Nest® Thermostat. Also available for integration into any Chuango system are the AID-420 beam sensors, which could be placed on balconies, patios or by garage doors or pools. Chuango AID-420 sensors work wonders in outdoor environments and detect acts of intrusion via invisible infrared beams. Through advanced technology and algorithms, only objects over a certain size would trigger an alarm with an instantaneous alert to your Chuango system and smartphone, minimizing false alarms. Completely wireless and battery-powered, Chuango AID-420 stands on guard for you in disguise, and the unique power-saving mode means up to 3 years of care-free, worry-free battery life. Other customizable solutions and sensors, such as cloud-based management platforms, environmental sensors and outdoor sirens, are also showcased in Hong Kong throughout the 6 days, so don’t miss out!